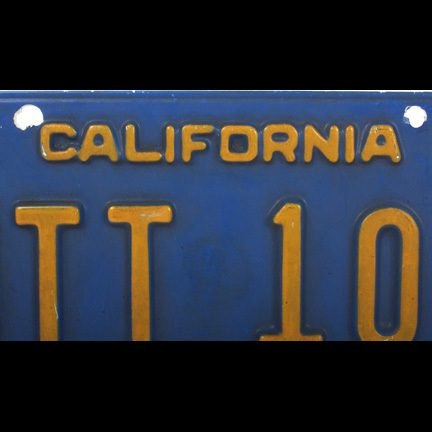 This license plate was used by the character “Driver” portrayed by actor Ryan Gosling in the 2011 motion picture “Drive”. 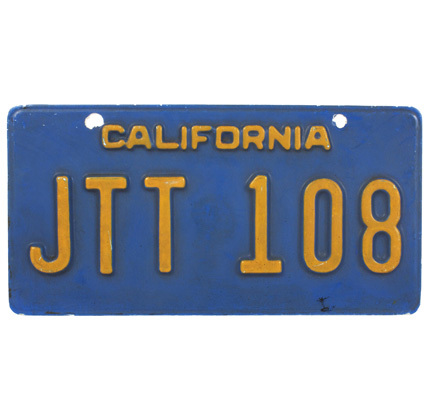 The blue California license plate with “JTT 108” has faux December, 2011 registration tags. 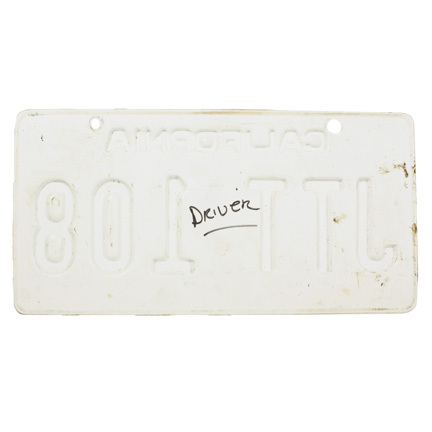 The back of the plate has the character name “Driver” handwritten in black ink. 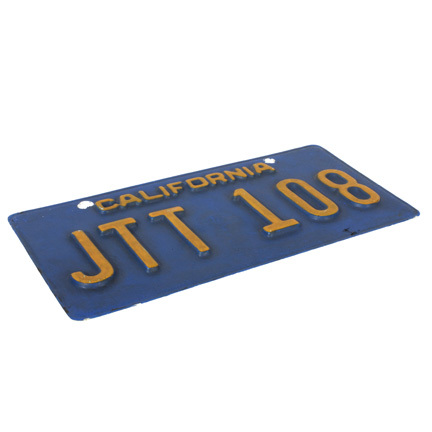 This plate was mounted on Driver’s off white Chevelle used in numerous scenes throughout the film. The car first appeared in the scene in at Shannon’s Picture Car Warehouse when “Shannon” (Bryan Cranston) asks Driver to give “Irene” (Carey Mulligan) and her son a ride home. 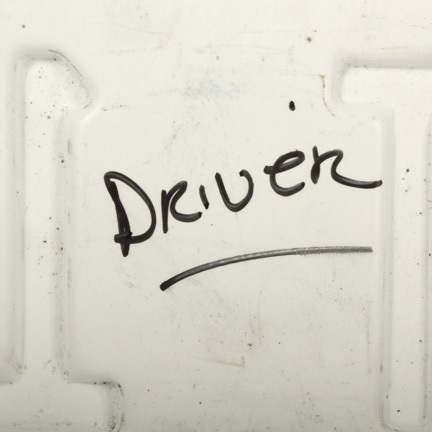 After Driver replaces the wheels on his car, he drives them out to the L.A. River for the day. 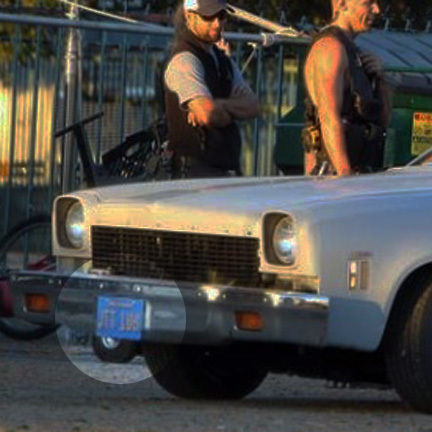 The plate was used in numerous other scenes leading up to Driver’s final confrontation with “Nino” (Ron Perlman) when he uses his Chevelle to ram the gangster’s car. 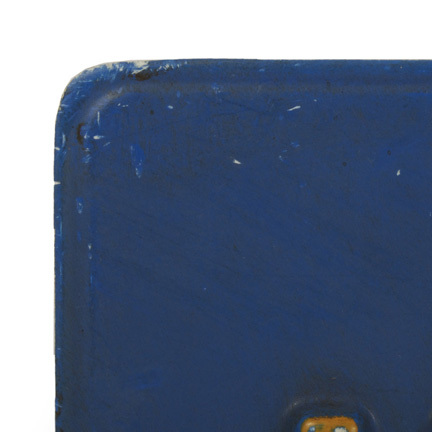 The prop item is in good condition with minor evidence of distress wear from its use during filming and was acquired directly from the production company. Accompanied by a letter of authenticity. Presented by The Golden Closet, your premier source for iconic screen used wardrobe, props, and music entertainment memorabilia.